Dive The Big 5 has made it possible for countless locals and tourists from across the globe to experience the absolute thrill of diving in South Africa. You could have underwater encounters of fierce Great Whites while shark cage diving, witness the Sardine Run in person or go on wildlife safaris all on one holiday. If you are looking for an adventure filled with excitement and sights that will leave you in awe, contact our agents to book your holiday of a lifetime today. As an incoming tour operator, based in South Africa, specialising in scuba diving safaris and wildlife safaris encompassing the entire coastline and length and breadth of Southern Africa. The "Dive" part of Dive The Big 5 concentrates on the scuba diving activities of the company which include Great White Shark cage diving, "free-diving" with Sand Tigers, Tiger, Bull and Hammerhead Sharks (The Big 5 Sharks), the annual Sardine Run, unique to South Africa, reef diving, wreck diving, and pure tropical, coral reef diving along the coast of South Africa and Mozambique, as well as "live-aboard" diving off the islands of the Bazaruto Archipelago and the Quirimba's which lie off Pemba in northern Mozambique. On May 13 2016, Dive the Big 5 turned 20 years old. There is no substitute for experience and local knowledge. Along the coast of South Africa., from the Cape to Kwa-Zulu Natal, there are numerous places to go shark diving. And among these adventurous destinations, there are also places where you can experience a type of diving that doesn’t require qualifications or experience: shark cage diving. It is this commercialised underwater experience that has become one of the most incredible things to do while on the coast, short of actually diving freely among the sharks. By lowering divers safely into the depths, enclosed by a cage that is designed for this purpose, shark cage diving is one of the best ways to see Great White Sharks. Shark diving in South Africa is helping to change the often common misconceptions that these creatures of the deep have. You don’t need to be a fearless diver when you go shark diving in South Africa. Instead, all you need to do is have a healthy appreciation for marine life and a sense of adventure. Sharks have seemingly always captured and amazed the imaginations of millions across the globe. Sadly, the kind of reputation they earn is generally one of being a terror of the ocean. But that couldn’t be further from the truth. While shark attacks do put a damper on the character of this shark, the truth is that the sharks are often far less interested in you than you might think. They come up to the cage because they are curious about you, not because they think you are an easy snack. Shark cage diving has gained a lot of popularity over the years since the cage was developed. With the various locations all along the coast of South Africa, guests from all over the world are given the best possible opportunity to get up close with the majestic Great White Shark. The adrenaline that you experience as the cage is lowered into the water is going to unlike just about anything you have experienced before. The cage is the product of many years of development, and you can be sure that the cage is completely safe. You will be provided with all of the equipment and safety guidelines that are important for the dive. The Wild Coast is one of the most unpredictable areas in the world to go diving. Seasons can change in a matter of hours and what starts out as a clear, bright skied day, can quickly become very gloomy. Although the weather is so unpredictable, sharks frequent the coast all year round. Should you miss one day of diving, you can always make up for it the next day. With this being said, make sure that when you book you dive, you are spending more than a day in the area. The South African winter, mild as it is, is from May to roughly October. These are the best times of the year to experience a shark cage dive. This is also considered to be high season, so making bookings early will help you to avoid disappointment. The two main places to go shark cage diving in South Africa are Mossel Bay and Gansbaai. •	About Gansbaai This picturesque village is about a 3 hour drive from the metropolitan city of Cape Town. In the Kleinbaai Harbour, shark cage diving expeditions happen daily. The slipway on the harbour is the point of entry for all shark cage diving from the islands. On clear mornings the area is filled with divers attracted to the shark cage diving scene. Everything is checked and prepared before the arrival of the divers, ensuring that everything is good to go. Out to sea, around 12 km from Gansbaai lies two islands; Dyer Island and Geyser Rock. These two spots have become well known as one of only two such places in the world where you can easily see Great White Sharks. It is the high amount of penguins in the area that attract the sharks. Other species that you could possibly see near to these islands includes Cape Gannets, Cape Fur Seals, African penguins, dolphins and whales. To simply round up Gansbaai, we could say that the area is packed full of exciting things to do and see, and a must visit for everyone who loves the coast. •	About Mossel Bay Mossel Bay is a busy holiday town and port found on the Garden Route. It lies between Cape Town and Port Elizabeth and is a well-known shark diving destination. Although the town has become industrialised over the years, it keeps its quiet and laidback hospitality that many look forward to when visiting. This town also boasts the honour of being one of the few places in the world with an all year round mild climate. And along with great weather and superb hospitality, Mossel Bay has incredible beaches and really warm ocean water. In many ways, Mossel Bay is the ideal holiday place, in both summer and winter. It is not just another holiday spot though. Mossel Bay has plenty of historical places to visit. The history of the area reaches as far back as 1488 and many different cultures have contributed to the area. The bay is well known for its mussels and oysters and there is plenty of other marine life that is well known to frequent the area. On the beaches that stretch across this part of the wild coast, looking for seashells is also quite a popular pastime. Created and developed between South Africa and Australia, the pastime of shark cage diving gained popularity and became one of the top dives in the world. The shark cage took many years to develop and the development dates back to the 1950s. While it might be difficult to believe that the cage is able to withstand the strength of the jaws of the Great White, today’s cages are completely safe. Cage diving came to South Africa in the early 2000s, using the knowledge gained from underwater cage diving in Australia. Today it is a bustling tourist industry, which allows anyone to experience scuba diving without having to have dived before. The Great White Shark is not the only shark that swims in the South African coastal waters. Shark tourism offers divers the opportunity to swim amongst sharks known to inhabit various areas along the coast. At Dive the Big 5, we have a number of excellent shark diving packages. Some of these sharks are seasonal creatures, while others can be spotted all year round. •	Tiger Shark Diving The tiger shark is one of those fearsome ocean predators that, while not as famous as the Great White, are still quite a sight! These sharks can grow up to 5 meters in length, and they often habitat shallow reefs, canals and harbours, making them easy to come across when you are diving. These sharks prefer warmer waters, so diving during the summer months, in the warm Indian Ocean, can increase your chances of seeing them. Tiger Shark diving in South Africa is a seasonal activity. The females, which are the bigger of the species, are often seen in the waters around Aliwal Shoal during the months of January to June. The males can be seen from July to December. In order to actually have the sharks close to the dive, the areas south of the Aliwal Shoal are baited. Over the years, baiting has drastically improved the sightings. But while baiting yields good results, it’s not exactly the preferred method. When the baiting method is used, the sharks tend to arrive at around 9 am and will remain in the area until the divers leave. Hammerheads, Zambezi and Blacktip Sharks are also occasionally seen around when the bait has been placed in the water. Subsurface drifting is our preferred method when it comes to Tiger Shark diving in South Africa. When the divers arrive at the site, the water is chummed and a buoy with bait is sent out. As the sharks begin to arrive, the dive master will decide whether or not it is safe to proceed with the dive. If the sharks are not aggressive divers can enter the water. 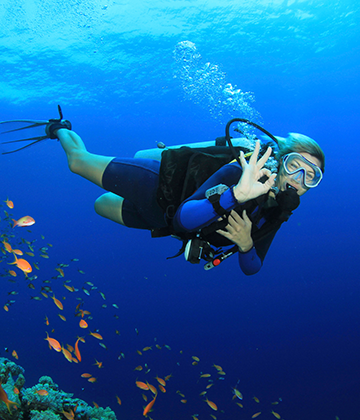 Certified divers can dive to depths of 5 meters. And non-certified divers won’t miss out on the action either. Snorkelling on the surface provides a unique way to see the sharks. Sharks are wild creatures, so naturally, there is a continuous debate surrounding whether or not baiting sharks is ethical and, well, fair to the sharks. As the shark diving industry has grown, more and more tourists head to our shores expecting to see sharks. This is by no means a small industry. Rather the shark diving industry brings in lots of money each year. Money is not the main focus though. Instead, conservation is at the forefront of the industry. The industry and the wellbeing of the sharks are protected by legislature, with the industry itself being the driving force for the legislature. South Africa has become the White Shark Viewing capital of the world. But still, there is concern that baiting might well end up resulting in more attacks on humans. This is not true. In fact, legislature states that operators must use minimal amounts of bait, so as to not become the primary food source for sharks. And then there is the matter of over 100 million sharks being killed each year. In many ways, baiting is actually providing protection for these sharks, as the legislature helps to ensure the safety of the species. •	Raggie Diving Like many shark dives, you can see the Raggie shark (otherwise known as a Sand Tiger Shark) frequent the waters of the Aliwal Shoal. Raggie shark diving in South Africa doesn’t just present the opportunity to see the Sand Tiger Shark. The area is also home to Zambezi, Dusky and Black Tip Sharks. The best time of the year to go Raggie diving is between the months of July and October. And the best time to get in the water is at first light. When scuba diving at first light, we can see the Raggie while it is still resting. The moment the area becomes too busy, with an abundance of divers in the waters, the Raggies tend to shy away. •	Blue Shark Diving/Mako Shark Diving Mako shark diving and Blue Shark diving present a most thrilling experience for divers looking to come close to these blue water predators. The diving expedition leaves from Simon’s Town and is very much weather dependent. Diving where the Indian and Atlantic Oceans meet, divers venture out as far as 30 nautical miles just to see these rare creatures. The best times of the year to do this dive is from the middle of November to the middle of June. A plethora of birds and penguins can be seen in this area, along with whales and dolphins. During the dive, you might even come across tuna. Using sound equipment, the sharks are attracted to the boats. Although there has been some fear about diving with these sharks, we’ve had only good experiences. Blue sharks are quite curious and will come right up to the diver. Up close, you are not likely to see such a beautiful blue water predator. Whether you are diving Aliwal Shoal or exploring the Protea Banks, each diving destination will have a special something to offer you. Seeing all kinds of marine life while experiencing tropical reef diving in South Africa, or submerging yourself in the remains of a wrecked ship, in many ways South Africa is a diving paradise. •	Diving Protea Banks The Protea Banks is without a doubt one of the very best places to go shark diving. Only advanced divers can dive here and because of the intensely strong currents, this is definitely not going to be your average dive. 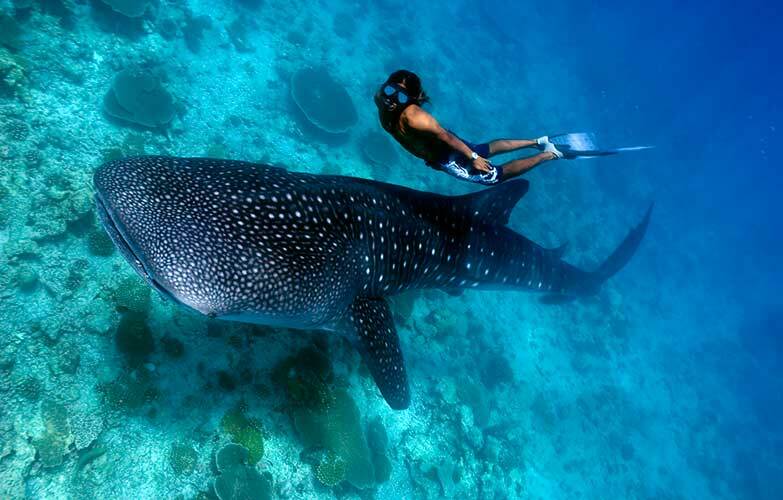 To see sharks here, we offer a baited diving experience as well as a bait free dive. The Protea Banks is about 8 km away from Shelly Beach and along with seeing sharks, YellowTail, Kingfish, Tuna and Barracuda can also be spotted. •	Diving Aliwal Shoal The Aliwal Shoal has the reputation for being a “Three Dive Destination”. Here you can dive along a reef, explore wrecks and swim with the sharks. The Aliwal Shoal is a fossilised sandstone reef which is about 80 000 years old. With a length of about 2 and a half kilometres and a width of 150 meters, there is plenty to see here. Ragged Tooth Sharks, Loggerhead Turtles and Ribbon Tailed Rays live on the reef. As a wreck diving destination in South Africa, divers can visit the Produce and the Nebo. Finally, for those who want to go shark diving, there is the baited dive and the free diving options. Another one of the wonders that the South African waters hold, the Sardine Run is truly an example of nature at its finest. There is nothing else quite like it on the planet. The Sardine Run is an annual phenomenon that takes during the winter months on the eastern coast of South Africa. Sardines swim up the coast in massive shoals, and no one is exactly sure what causes the fish to behave this way. The Sardine Run quickly becomes a feeding frenzy, as all kinds of predators make a visit during to the area. Diving during this time of the year means there is plenty to see. And as the season progresses, the size of the shoal grows. When the dolphins make an appearance, we know more or less where the Sardines are swimming. This allows us to make arrangements for a hopefully successful dive. The 2018 Sardine Run begins at the end of May, and our tours run from the 20th of May to the 30th of July. Space is limited so it’s best to book your tour as soon as possible. At Dive the Big 5 we not only cater to divers. We also offer memorable wildlife safaris to some of South Africa’s best destinations. We understand that 5 days of non-stop diving can become a bit too much, which is why we like to offer some variety to your time in South Africa. Unpredictable weather can also mean a change of plans. Not a moment is to be wasted when there is so much to do out of the water. At Dive the Big 5 we want all of our guests to experience the magical scenes and creatures living beneath the waves. Book your dive today and explore the depths of the Indian and Atlantic Oceans. This was a dream vacation, where almost everything we dreamed about happened , and we saw much more than we expected. I am sure that you have received many of these pictures, but these attached photos are also there to give you an impression what we saw and of course how proud we are about the photos. I have no words to say thanks for you..... all the trips were great!!! All the people, the dives, the Lodge, the program.. all the little things.... Yes, i saw the game in a traditional Pub with Dave (from Lodge.... an incredible person....) and Morne is an incredible person too..... I´ll buy a shirt from Stormers to bring to Brazil..... I´ll help you supporting the Stormers!